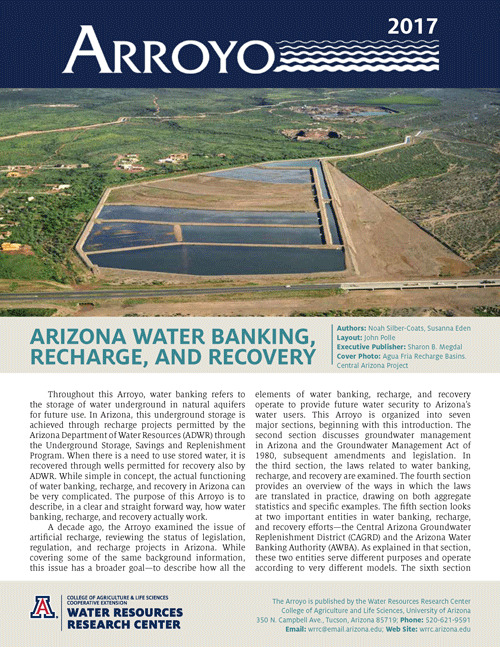 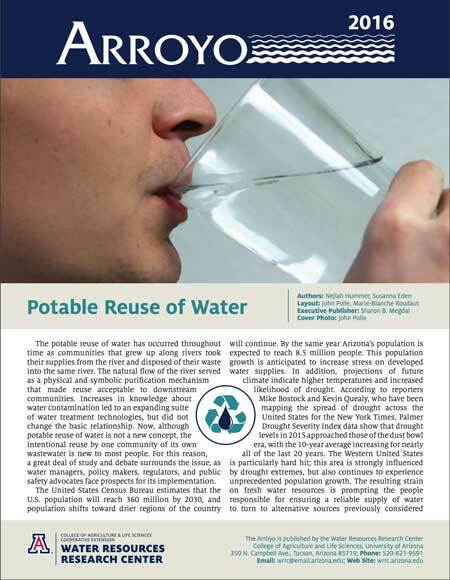 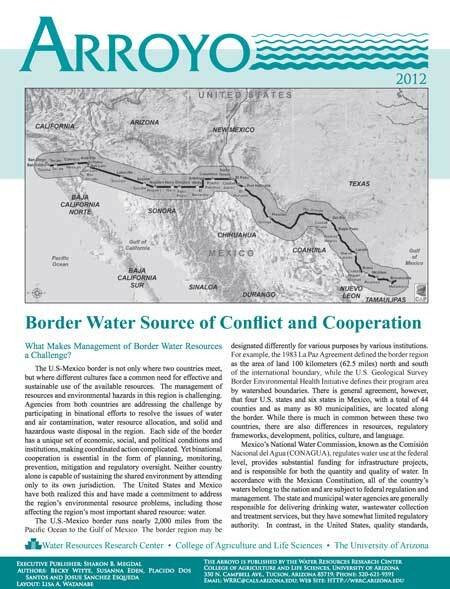 Arroyo is the annual WRRC publication that each year focuses on a single critical Arizona water issue. 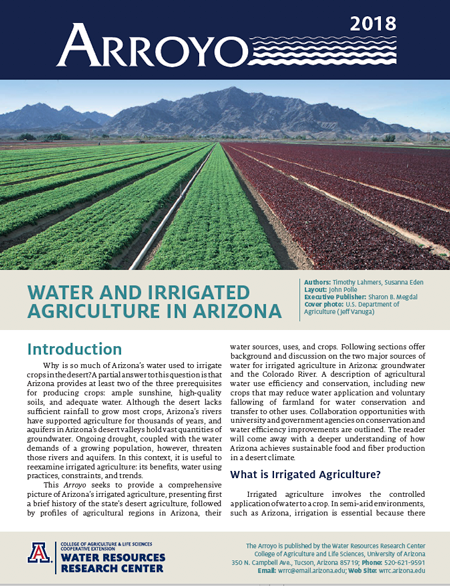 Topics have included desalination, contaminants of emerging concern, the water demand-supply gap, and river restoration, among others. 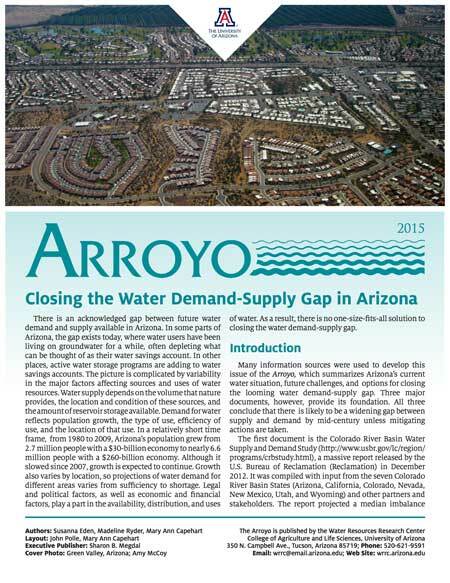 Arroyo is recognized as source of objective, accurate and understandable information and reaches a wide audience that includes policy makers and water professionals as well as the interested public.